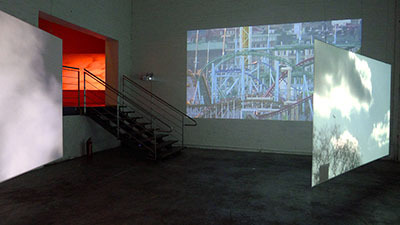 4-channel video installation, Full-HD, 9'10 min, loop. 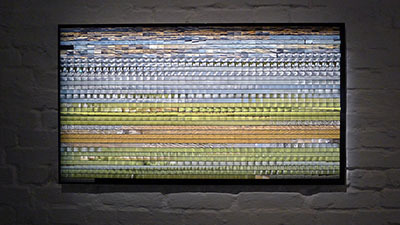 Every image might be a beginning for storytelling. 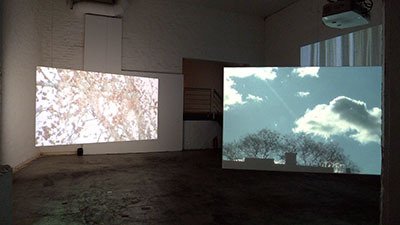 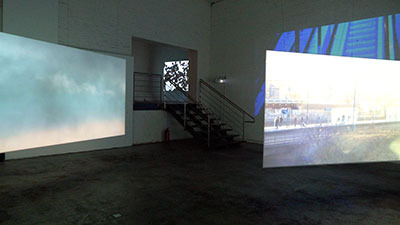 The video installation Every Image Is a Beginning by Rita Jokiranta comprises three screens and a wall projection, on which we can see several small events at the same time, in the same way as things in the real life occur randomly and contemporarily. 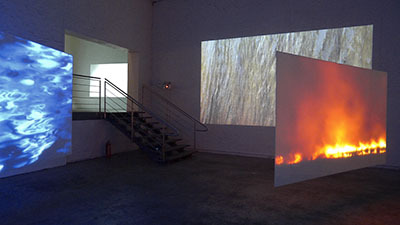 In the videos, nature phenomena and urban environment, silence and throbbing, abstract and a kind of documentary sequences are paralleled. 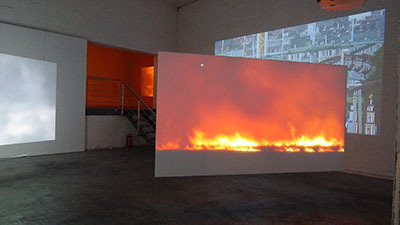 The starting point is to record an ephemeral occurrence and present it so that the viewer is challenged to compare it to his or her own experiences and feelings when interpreting the images. 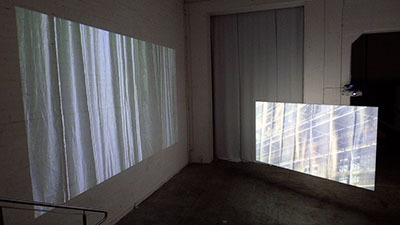 A connection to the film history and structure gives helpful models for the interpretation, but the traditional linear narrative is deconstructed in the installation, and the viewer only gets beginnings or fragments to spin the story further. 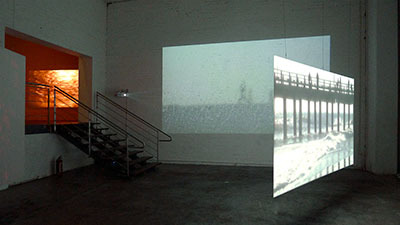 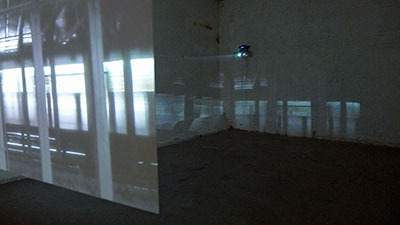 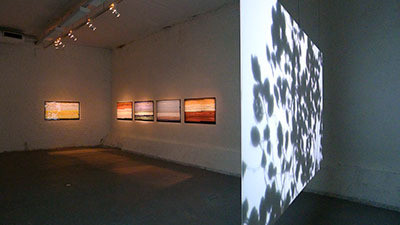 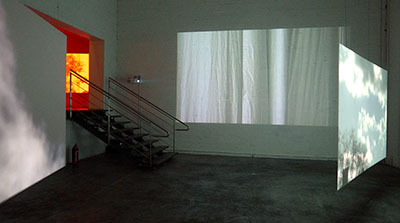 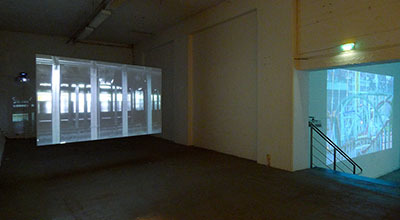 The moving images and sound are combined in random order and build momentarily a transient visual narrative, which might only be saved in the viewer’s memory. 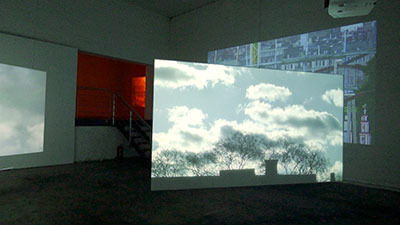 How the story will be told, it is the viewer’s task. 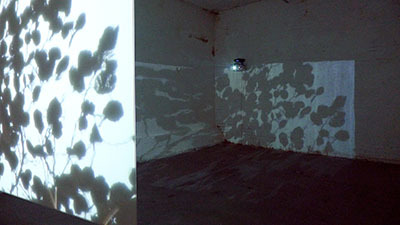 Beside the interpretation, the video work also gets us to think about the terms of seeing. 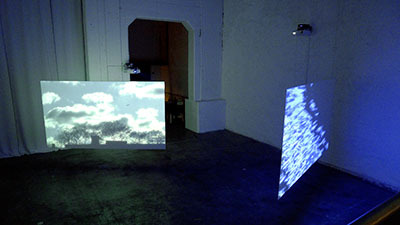 There is a suspense between the parallell views, and under the surface may threat or anxciousness be hiding, escaping the gaze, but leaving an uncertain feeling of it in one’s mind. 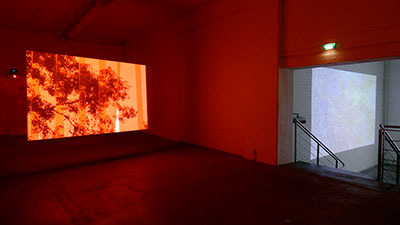 Beyond narrativity, the installation deals with our mental visualization and may in a way also be compared to the information flow which overwhelms us every day  the images roll on us, stay in mind and do not leave us in peace. 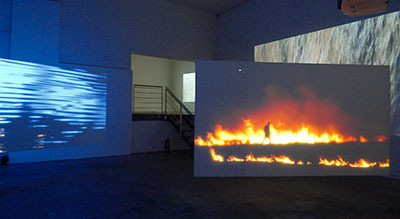 The discussion about narrative is completed with compilations of video still images, in which it is possible to see the whole story at once in a storyboard-like presentation.